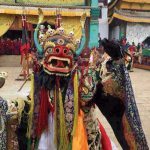 The Monlam Chenmo Festival or “Great Prayer Festival” was established by Lama Tsongkapa in 1409, to commemorate Shakyamuni Buddha’s performance of miracles in Shravasti. 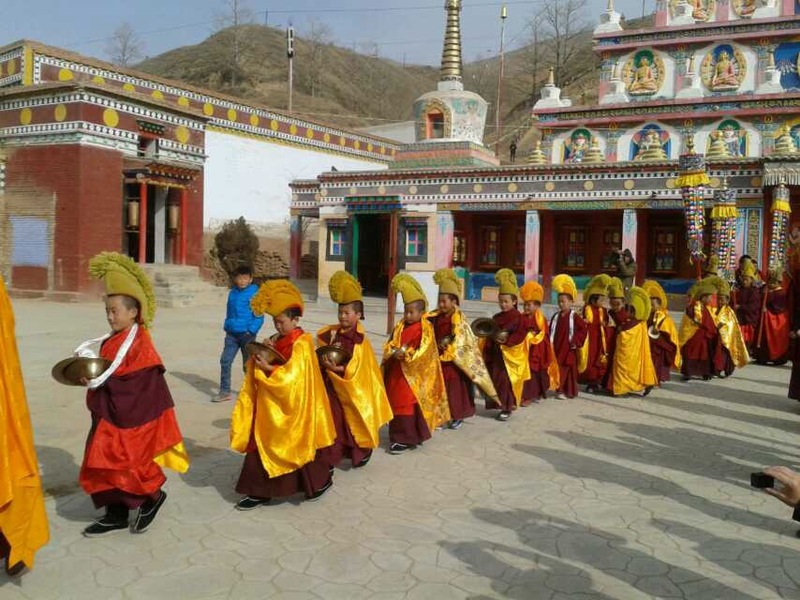 Commonly known as the third of Lama Tsongkapa’s four great deeds, Monlam Chenmo celebrations have been observed every year since, to pray for the long life of attained masters from all traditions, for the growth of Dharma in the minds of all sentient beings, and for world peace. 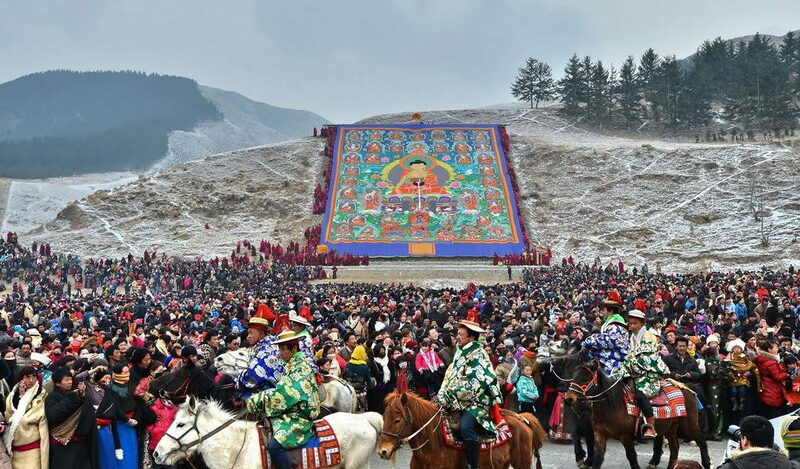 Great Monlam Prayer Festival originated from Tsongkpa in 1409, Great Prayer Festival is one of the greatest religious festivals in Tibet, with prayers, ritual dances, traditional foods and giant tapestry-like paintings. 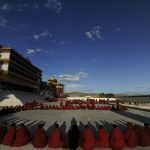 On this festival, Monks from Drepung, Sera and Ganden monasteries will assemble in Jokhang for prayer to Shakyamuni's image as if it were the living Buddha. 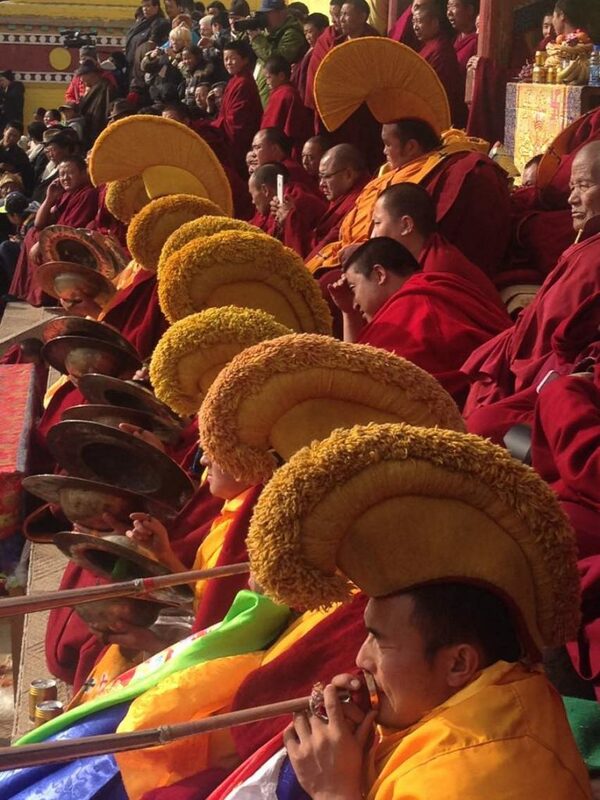 Buddhists throughout Tibet will also come to Jokhang to worship the Buddha and make kora around the Jokhang temple. 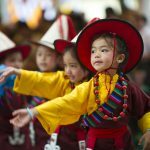 The Great Prayer festival last nearly a whole month from the 4th day to the 25th day of the first month in Tibetan calendar. 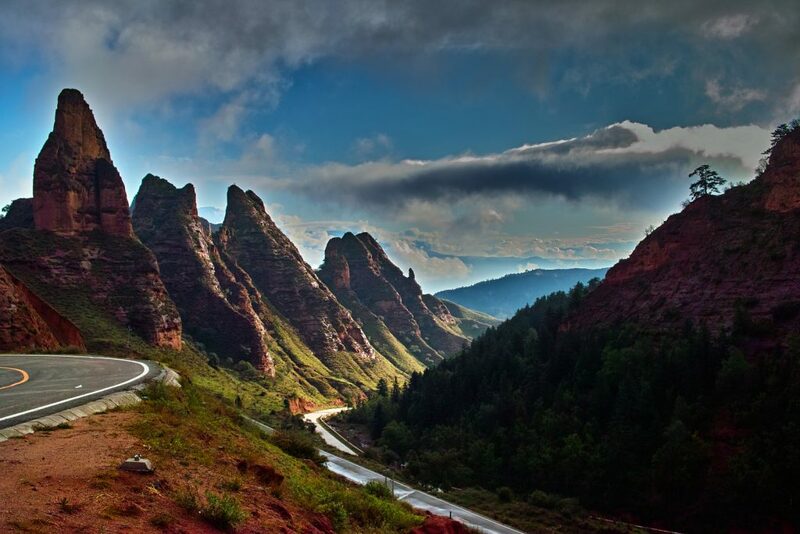 Airport pick-up and transfer from airport to hotel in xining. 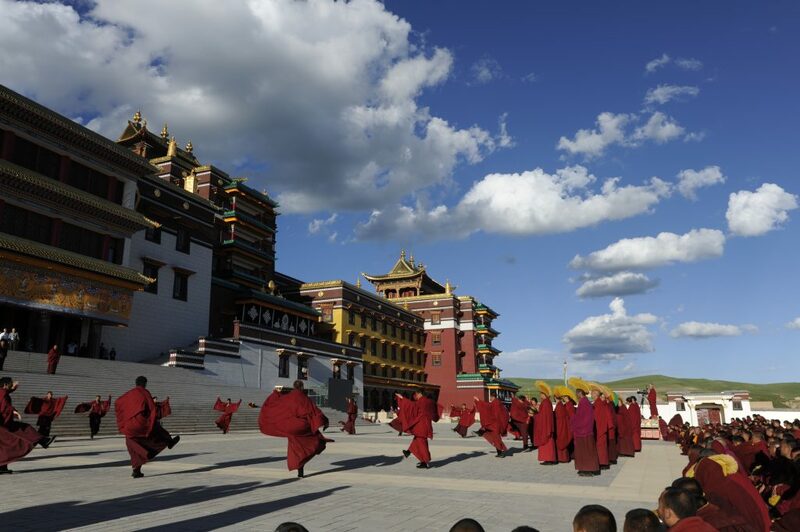 After breakfast we will drive to Tongren, We will drive to Tongren County in the historic region of Amdo, which is the cradle of Rebkong, the famous town of Tibetan painter, and is the only national historical and cultural city in Qinghai province. Overnight in Rebkong. 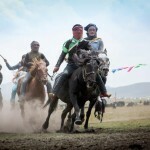 After breakfast we will go to Gomar Monastery to experience local “Thanksgiving Breakfast”. 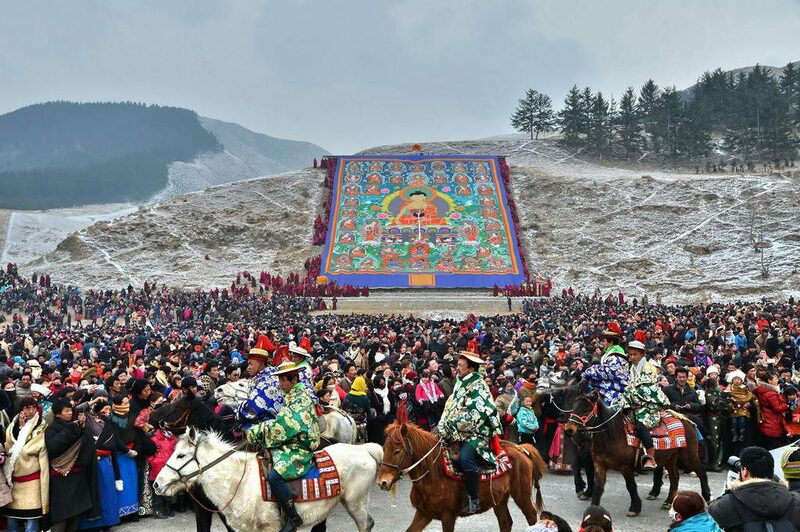 On the 8th day of lunar calendar in January, the activity of “Thanksgiving Breakfast” is held annually in Gomar Monastery, which has already been lasting for over 200 years, except during “The Cultural Revolution”. “Thanksgiving Breakfast”, is that the monastery receives donor’s giving, which will be donated to the local people as a breakfast in the village. 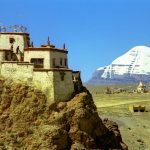 This is a thanksgiving activity, whose capital is donated by villagers, and the monastery will give away the money and other stuff, to make a morning tea or cook a breakfast for villagers, being grateful for everyone’s help through the whole year. The scene of this activity is very spectacular. 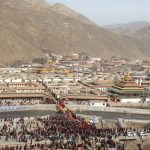 The monastery has to prepare enough butter cake, yak-butter milk tea, fruits, candies, and small notes for almost several thousand people. 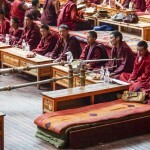 Thangka Unfolding: The ceremony of thangka unfolding is very serious. 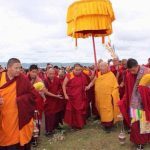 The lama who are responsible for maintaining order should walk first, other lama falling behind hold canopy, beat the drums, play spiral trumpet, and some young men carry red-cloth Buddha to the Thangka Unfolding Platform. 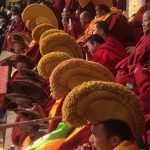 Along the road, Tibetan people will try to touch thangka with their forehead, because they think that means good luck and endless honor. 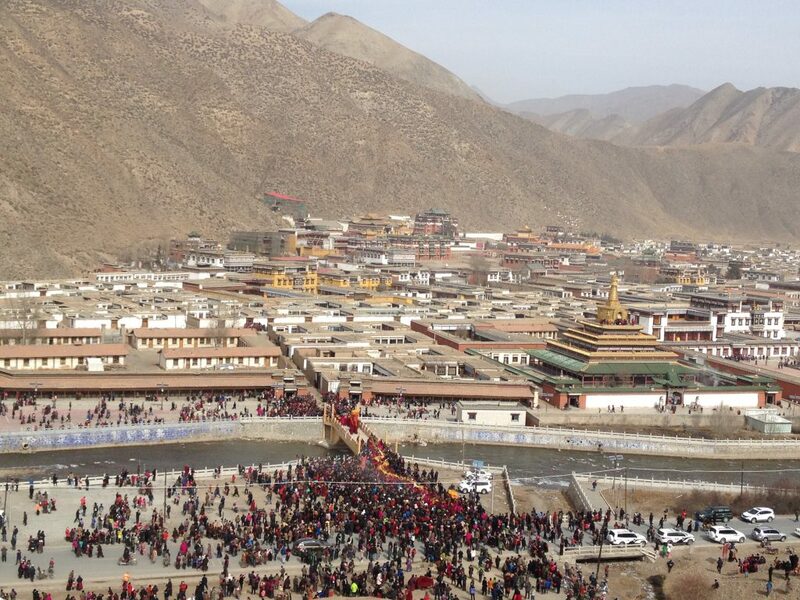 We will take pictures of thangka unfolding in Gomar Monastery and Shangge Shong Monastery. 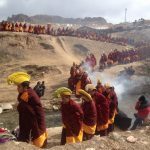 Today we will stay in Shangge Shong Magotsang Village and Shangge Shong Monastery for the whole day. 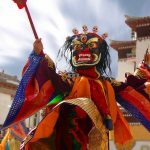 We will go experience the folklore in the village and the monastery, visit Master of Thangka painting in the village or in the monastery, and enjoy their skilled techniques and delicate paintings. 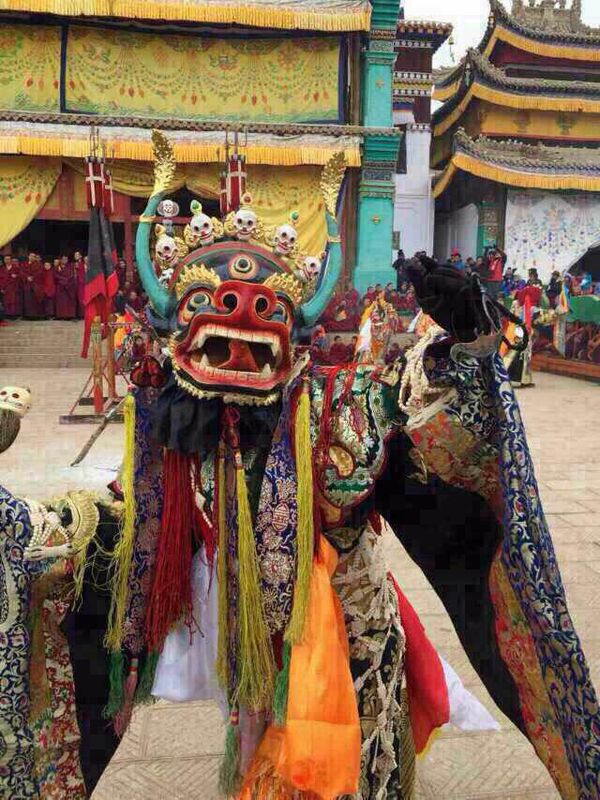 We will also hold an important activity in Shangge Shong Monastery – Cham Dance. 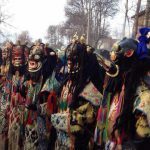 The dancer will wear mask and gorgeous costumes, and carry wishful and magical tools in hand, to perform as god protector, to praise god, to cut the devil, etc. The dancer moves fast, quickly and dramatically. 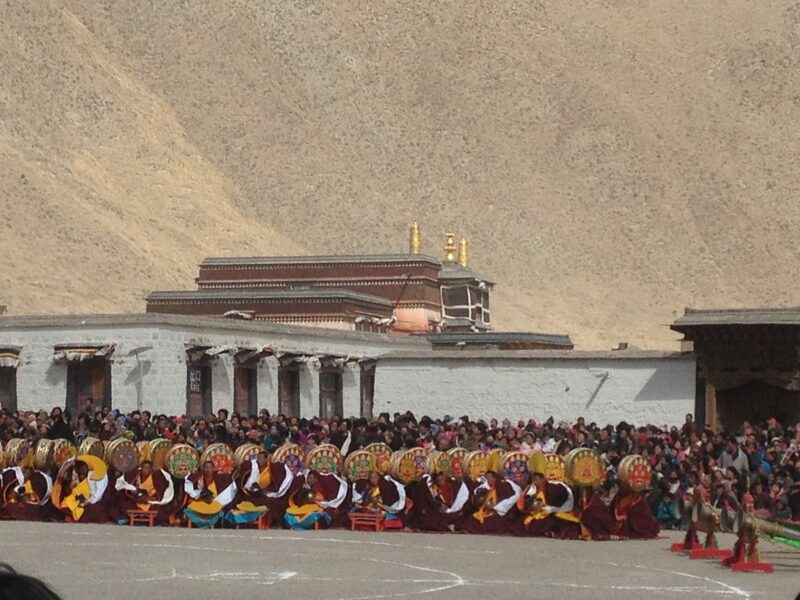 The whole day for shooting Cham Dance in Gomar Monastery. 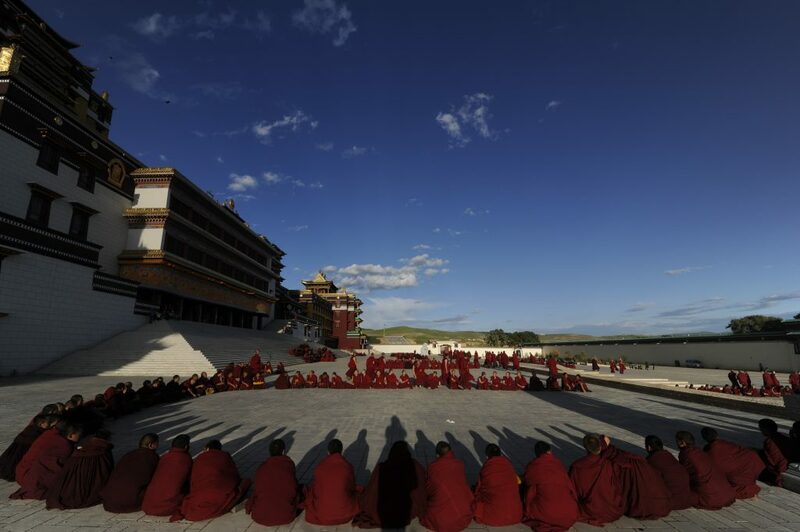 And visit of Rongwu Gonchen Monastery. 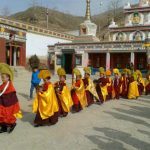 In the morning visit Rekbong area and we will leave for Labrang Monastery in the afternoon. 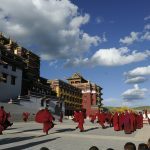 Labrang Monastery is one of six Gelugpa Monastery in Tibetan Buddhism, It boasts the best Tibetan Buddhism system and is hailed as the world’s institution of Tibetology. You will find world’s longest corridor of prayer wheels, which has 1700 prayer wheels and is 3.5 km long. 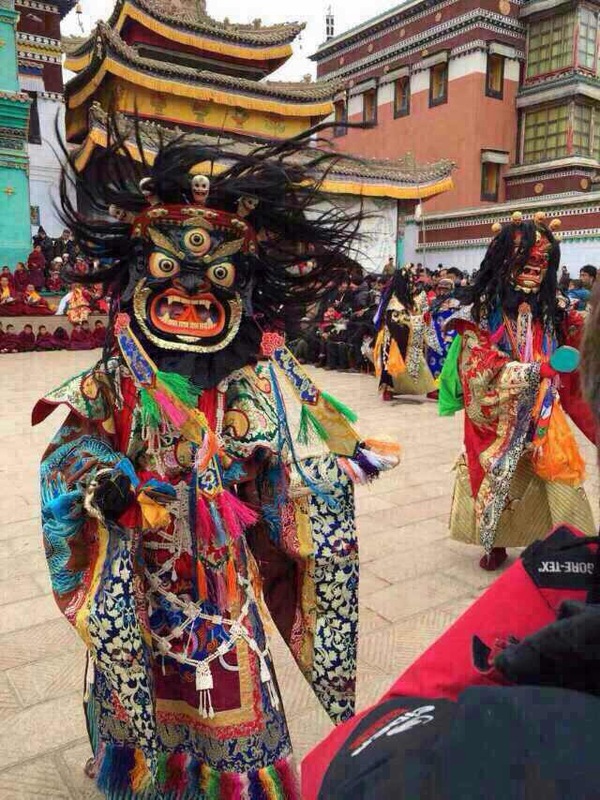 And Monlam Festival will be most busiest days in Labrang Monastery around the whole year. To take pictures of Thangka Unfolding in Labrang Monastery. 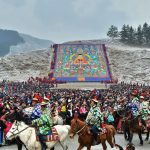 Thangka Unfolding is the highlight of Monlam Festival. 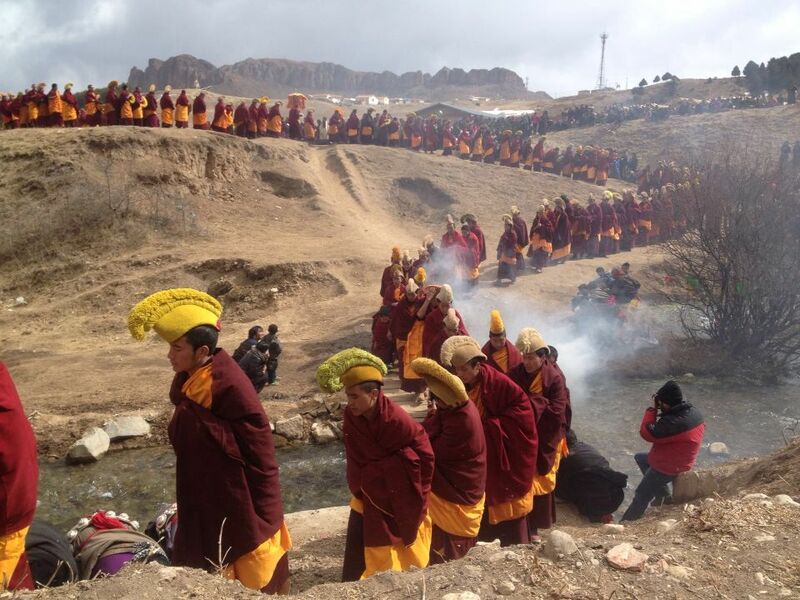 The process is similar to the ceremony in Rebkong, but here get more pilgrims, and the scene is busier. 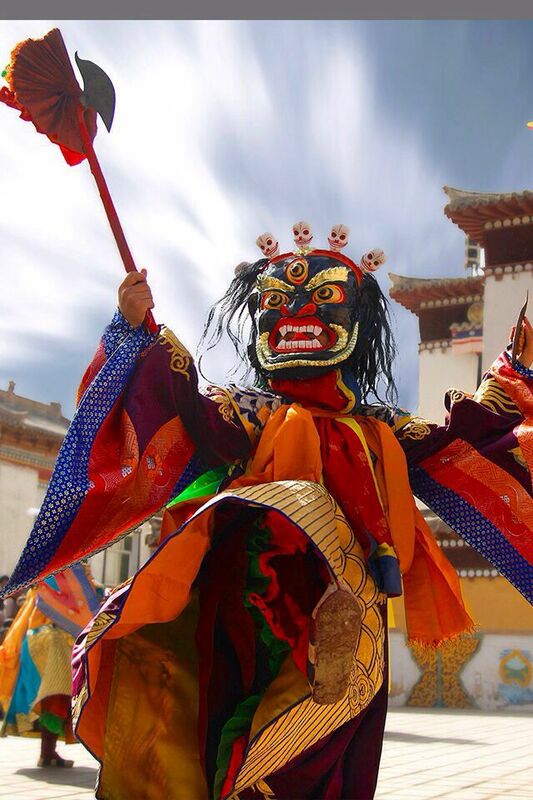 Take pictures of Cham Dance in Labrang Monastery. 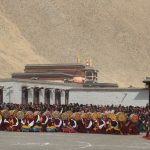 Around tens upon of thousands of pilgrims and visitors dressing up gather together around the square of Labrang Monastery. When the music starts, the mask dance begins. 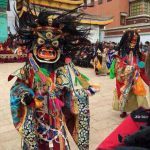 With the monk’s accompaniment, over 30 dancers with masks tell religious stories vividly to audience by dancing and turning around. 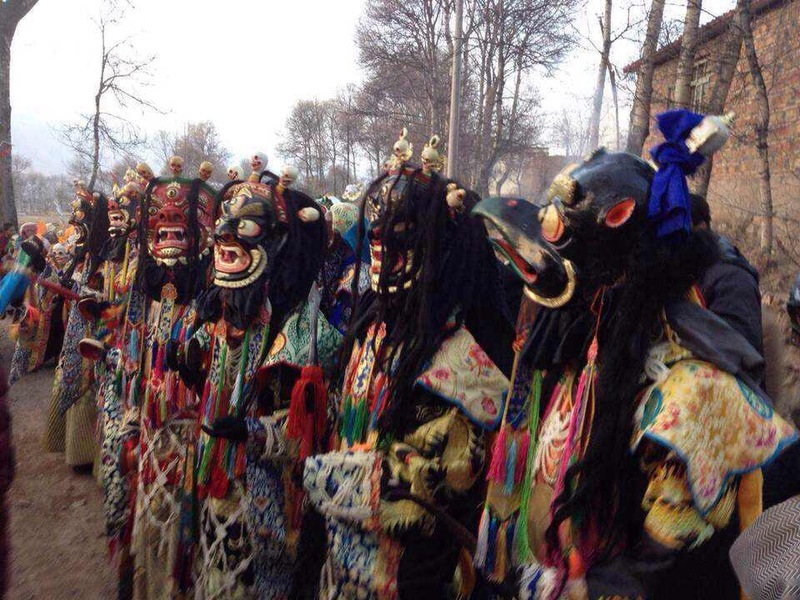 Cham dance is like early Tibetan dance grace, rough, bold, and anthropomorphic. The characteristics are to introduce the good and bad roles through masks. This kind of dance is learned from folk dance, with dramatic jumping and turning. After breakfast, we will return Lanzhou and end our trip at Lanzhou airport.